A Yogi who meditates on ‘Surya” is SURYAJI. A split atom that has fallen on Earth from the Sun and has manifested in human form to be nurtured by Mother Earth. “He will come from the land which is the meeting place of three oceans to form a Single Unified Nation. He will resemble Jesus Christ and will not believe in religious division; but will accept people of all faiths with open arms. He will absorb solar energy into his soul. He will follow the religion of love. His army will be the army of love. At the time of his arrival, the world will be engulfed by the rising tide of lust, anger, greed etc., and he will unify his countrymen under a common Culture “Solar Culture”. The above is the prediction of a great Master. Is that the divine soul, our SURYAJI? Those who have experienced the love of SURYAJI and practice Suryayog believe so. SURYAJI is divinity, humility, love and compassion personified. He was born in a tiny village called Thulasippara in the hilly terrain of Idukki in the state called “God’s own country”, Kerala, on a full moon day of March 1973, to his blessed parents Shri Gopinath and Smt. Santhamma. He was named ‘Jowel’ by his parents. Even as a young lad, he had spiritual leanings. 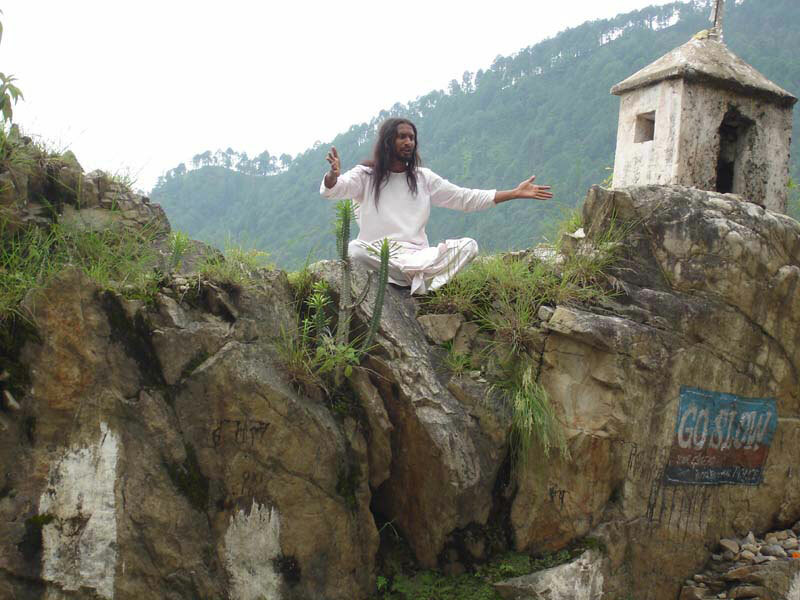 While doing his MA in philosophy, the various thoughts in philosophy and the philosophy in each thought threw up many questions and the mystic land of Himalayas beckoned him to find answers to those questions. There, he developed soul to soul relationship with many saints/yogis and siddhas and the spiritual knowledge imparted by them transformed Shri Jowel into a “Suryayogi”. Ultimately, the divine light from the SUN opened the eyes of his inner self and made him aware of his true nature. He always stood dissolved in divine harmony with nature. He sheds blood from his eyes when he speaks of man ravaging mother earth and cautions that the entire human race will be wiped out if we don’t get rid of our animosity and become gentle human being. His heart thronging to encompass the whole world could not remain in isolation… He came back to the world to give the humanity the fast food for the soul “Suryayog & Chidhakaashyog” To uplift Mankind from Conscious to subconscious and then to super conscious level. The blessed one’s found in him their Mentor, Philosopher and Guide. His holy vessels of Truth, Righteousness and Love carried him through the turbulent waters of life. Blessed are those who see the entire cosmos in him. SURYAJI and the suryayogis aim to form a Single Unified Nation beyond caste, creed, religion, region and boundaries. He speaks “I was influenced by SUN from a very young age. The master play of the divine Mother Nature always enthralled me and aroused many questions in my mind. This culminated into my developing a deep bond of love with her. I found myself stepping inside SURYA through his rays and developed a beautiful relationship with him too”. The regular practice of SURYAYOG will energize the seven chakras and will be very beneficial to uplift the man kind and keep them hale and hearty. Amidst the sea of worldly existence, treading the path of righteousness and truth, SURYAJI considers NATURE as his mother and SUN as his father and connects people from all walks of life and all living beings with his religion of “LOVE”. 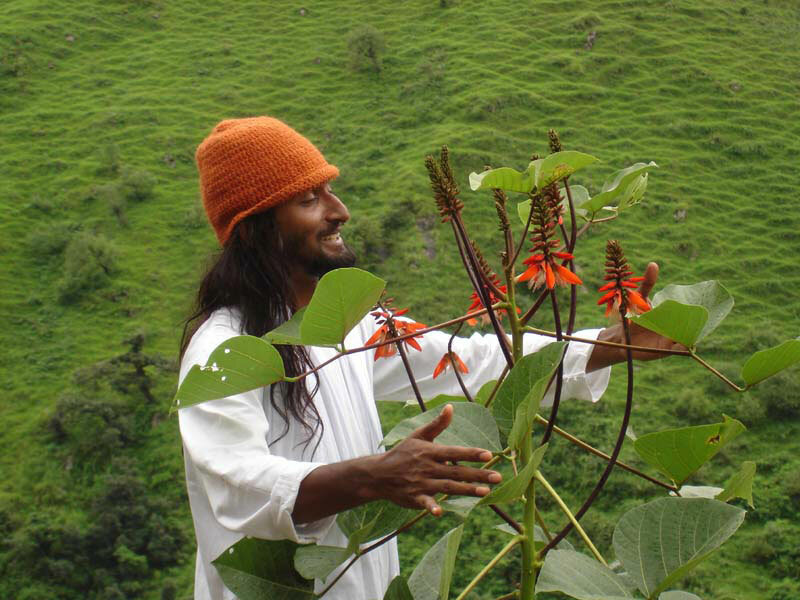 TAMASI BABA who lived in Pashan, Pune, till 2004 says: ”The future generation will be all educated and highly discerning. They will not believe in things they can’t see by their own eyes, hear by their own ears and feel by their own senses. SUN will be regarded as our father, our God and NATURE our mother our Goddess and religion exists in the beauty of nature and its message is Love. The Trio of SUN-NATURE-LOVE shall only command general acceptability and reverence and it will cover under its umbrella all religion, races, creeds, cults and faith and that day will not be far off when the entire world will be reduced to just one Metro City and then Love only will rule and determine bonds and inter relationships. What else is Nobility? Nobility has been defined by our forefathers as ARYA. So all will be reduced to this ARYA and that is the goal put up by our Forefathers for us”. SURYAJI fondly recollects his meeting with the Former President of India Dr. A.P.J.Kalam at Rashtrapathi Bhavan, when the equation E=MC2 was replaced with E=LC2 and the spiritual essence of Love was beautifully explained. SURYAJI has an expanded Aura of about 8ft. as per the observation done by NASA. Words are not enough to explain SURYAJI, whose virtues need to be experienced by one and all. Personification of Love & Compassion and with a charismatic personality resembling Jesus Christ, he has already won millions of hearts. He has brought light to thousands of women and men whose lives were thrown out of proportion. Their wavering minds were brought to a solemn stillness and today for them the mere presence of him is stirring, elevating and is a spiritual education. With his weapon of Love and Love Energy from the Sun he has started his march towards SUN – A Single Unified Nation. Let’s all derive the bliss of being with this ‘Embodiment of Love’. 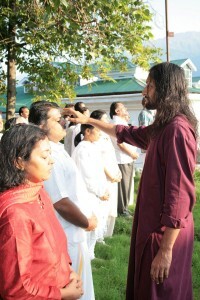 In the increasing worldliness that encompasses man in our time, where he finds little time to look into himself and discover the inner spirit, SURYAJI wants to be one among all of us to lead us to the path of Truth, Virtue and Righteousness with the technique “SURYAYOG”, A FAST FOOD FOR THE MIND, BODY AND THE SOUL. This entry was posted on Tuesday, April 7th, 2009 at 8:02 am	and is filed under Articles. It is wonderful to come across the truth about Sun. This article is somewhat a confirmation of my long held view that the religion of Christianity was but the religion of Sun – Sun in all His bounties. All the miracles performed by Jesus can be understood and justified only in the light of the identity of Sun as the Master Healer of all diseases. I was bowled over by this simple yet the most powerful fact about the energy of the SUN, the light and source of energy for this mass called earth in this myserious universe. What i liked in the whole reading about Suryaji was his three wonderful words. Wonderful to know that I do share the same ideas and views of Suryaji. Thank you for sharing. Shine on! Surayaji Surya yog is to Love and surrender to SUN GOD and meditate with shradha. 108 names of SUN GOD with shradha have equal potency. 25,th December is Unique in this regard. Your 108 Attributes are ultimate to initiate love and shradha.